Have you ever wondered why your brand is not visible and your business not profitable online? And I’m sure you are looking for the RIGHT solution that will help your business achieve the success you crave online. There is no business owner who wouldn’t want their business to be successful [visible and profitable] online. So as a business owner, to make your brand visible and your business profitable online, there are certain strategic elements that must be put in place to pull that off. And putting these elements [like sixteen of them] in place will ultimately help you achieve success in your business. They’ll also help you solve 4 critical business problems of finding, attracting, converting and retaining profitable customers online. 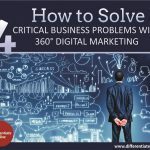 At Differentiate Online™, we’ve been using these 4 Pillars to help smart businesses solve the above 4 critical business problems and make their brand visible and their business profitable online. Let’s unlock them, shall we? The starting point of a successful digital marketing strategy is having an online presence [website]. 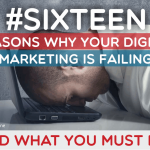 This is because your website is the primary destination of all your digital marketing campaigns. Design strategy helps you to creatively craft an unusual website that reflects your unique brand and set you apart from the competition. Every brand that has ever existed wants to be different from their competitors and create a lasting impression in the minds of their target customers. Design is the strategy that can help you create that impression. 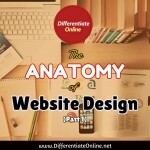 Because a good design is the first thing your visitor sees whenever they visit your website. A good website design represents quality that stands you out from the competition. And having a website like any other business owner cannot differentiate you in your industry or niche. But crafting your website with a custom design strategy will make your site unique and also make it user friendly. There are many more ways your visitors [target customers] can access your office online beyond a PC and laptop. And implementing a good design strategy can enable your site to be mobile responsive. This will make it easy for users with smart phones and tablets to access your site from their mobile devices. Additionally, a custom design represents quality that makes your website appear established. And if integrated rightly, it reassures your visitor that they can rely on the brand/business you represent. It demonstrates that you care enough to make your site easy to read and use. With a daily increase of internet users, most of your target customers are online searching for information [answers to their questions]. What happens when they come searching for information about your products/services, and there are no information about your brand/business online? You wouldn’t want them to find a well crafted website that lacks information. Would you? You would want them to find the information they seek. A compelling story about your brand and business that will help influence their buying decision. To do this, requires the integration of content strategy. Content strategy refers to your overall story telling that attracts the attention of your target customers online. It is how you tell a compelling story (about your brand/business) that captures the interest and attention of your target audience. 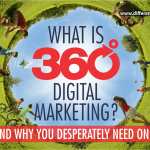 In fact, content is the lifeblood and the foundation of 360° digital marketing strategy. It is the fuel that runs your digital marketing engine. And fueling such an engine with relevant information provides the answers your target customer seeks online. Content is also what your target customers consumes whenever they come searching for information about your brand/business online. Not just any information, but a relevant information that teaches them about your brand/business and keeps them coming back for more. Content enables your brand/business to provide the best answer to your target audience, whenever and wherever they are searching for them. There are certain language that addresses the needs and problems of your target customers. And when you’re unable to use those languages, you would not be able to provide the best answers to their needs. Content strategy helps to tell your brand story in a compelling manner using the language your customer uses. This helps to address their major problems and meet their needs. It also helps to position and differentiate your brand. Creating a profitable niche and establishing a difference in your industry. While content strategy will enable you to tell your brand story and provide the best answers to your target customers’ questions, how do you get them to find the answers you’ve provided? The answer brings us to the next pillar. Having an unusual website with a great compelling story about your brand/business with no visitors, is not a good sign of a smart business. As a smart business owner, you would want people to visit your website and engage with you or your brand on a daily basis. This means creating a traffic strategy that increases the awareness of your brand/business to your target customers, inviting them to your website. Traffic strategy refers to how to create and increase awareness of your brand/business to your target customers online. It is how to get people (your target customers) to your office online (website) on a daily basis. It enables your brand to be searchable on search engines like Google and visible on social networks like Facebook, twitter, LinkedIn, Instagram, etc. In fact, the aim of traffic strategy is to enable your brand to be known, liked, and be trusted online. Investing time and effort to create a 360 online presence for your brand/business is awesome. But without a traffic strategy to drive the right visitors [prospective customers] to your office online, you will fail. Traffic strategy also helps to increase the awareness of your brand in your chosen niche. Making it visible online. And if your brand is not visible [i.e. no one sees your website], your business will suffer. If that happens, you know what comes next—there will be no profitability. You wouldn’t want to have a business without profitability, right? So, that takes us to the last pillar—conversion. At this point, you’ve understood that the last pillar we talked about helps to drive [right] visitors to your website. But what happens when they [target customers] visit and leave your website? What happens when they visit and leave without taking any action? You wouldn’t want them to visit your site and just leave without taking an action, would you? No smart business owner would want that. You would want them to visit and then take certain actions. You would want them to sign up, subscribe or share your site with others. To enable them take certain actions before leaving, you’ve got to create a strategy that ensures that they (prospective customers) do. And the strategy that ensures that is called conversion strategy. 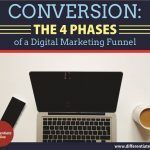 Conversion strategy refers to the integrating of persuasive sales funnel into your website that will strategically turn visitors (traffic) into leads (prospects) and leads into sales (profitable customers). It is a strategic function that makes your business profitable online. And if your business fails to convert visitors into sales, your business will suffer. Because profitability is one of the main objectives of a smart business. Having an office online with no conversion strategy, i.e. with no present opportunity to close sales or generate leads has little or no relevance to your business. Therefore, the essence of conversion strategy helps to get your visitors to do what you want them to do, whether it is to buy your product, sign up for your newsletter, download a whitepaper, or fill out a lead/contact form. Conversion strategy also enables you to move your website visitors along the buying process from knowing nothing about your business to buying from your business. This serves as sales funnel that captures and processes potential leads into eventual customers leading to an increase in revenue. And moving your conversion rate even a few percentage points means more income for your business, and more possibilities to grow and expand. 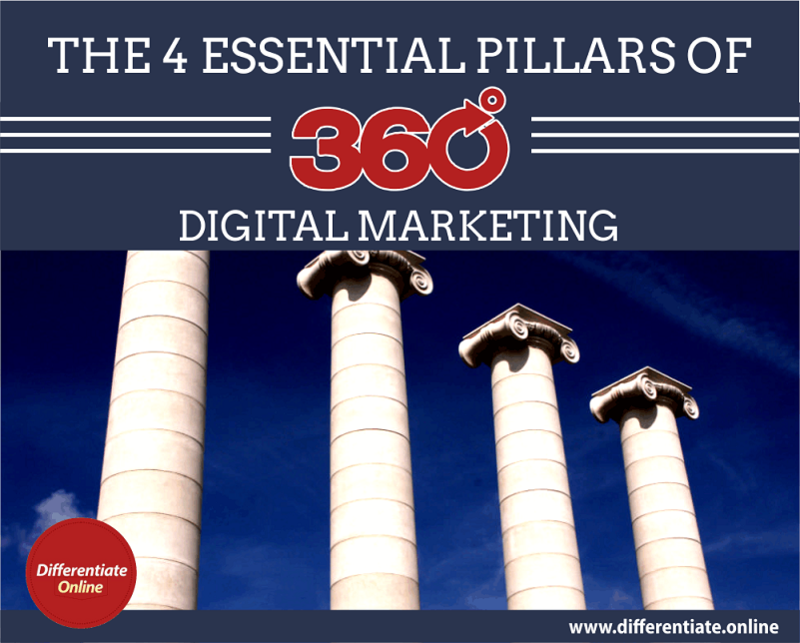 You know, there is no other digital marketing strategy out there than the 360° Digital Marketing Strategy that uses these 4 Essential Pillars. 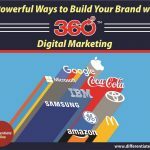 And masterfully integrating together these 4 essential pillars is truly the best way to make your brand visible and business profitable online. Would you like to have the 4 Pillars integrated and implemented for your business? If yes, click here to get started now on how we can implement these 4 Pillars in creating a 360° Online Presence for your brand visibility and business profitability online.